nightmare to face an ancient foe. Just before dawn, Mireia started screaming. Riffolk shot up wide-eyed from his blankets, his hand fumbling with his sword. He looked around for any sign of trouble, but there was none. There was only Mireia, sitting bolt upright, her eyes staring vacantly into the darkness as she wailed, and Ferran kneeling before her. 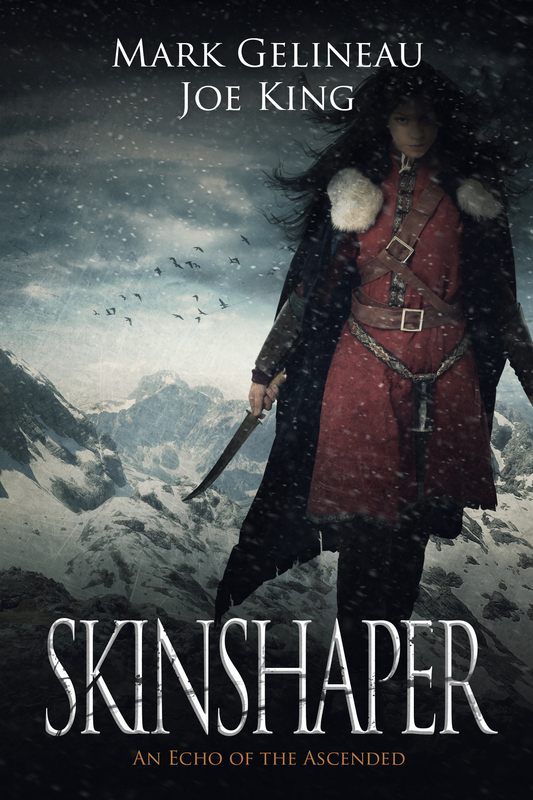 Her screams cut through the still, cold air, echoing off the stones around them. Then, just as abruptly as they began, her screams cut off. Mireia drew a huge, shuddering gasp and slumped forward. Ferran caught her gently. Mireia looked as if she would argue, but Ferran held her gaze and she relented. She closed her eyes, a look of peace returning to her face. Slowly, her breathing slowed and she drifted into a light sleep. Ferran pulled blankets around her before joining Riffolk on the other side of the campfire. For long minutes, the two men sat in silence, staring at the crackling fire. Riffolk drew his cloak tighter, trying to regain some semblance of warmth, but he knew it wasn’t the weather that chilled him. “I feel like it’s getting worse,” Riffolk said. Ferran sat with his hood up, the shadows from the firelight mixing with the tattoos on his face. “It is,” he said tightly. Riffolk kindled a small flame in the lantern. The first thing he saw was a dark, ragged stain draped across the stone wall of the mine. Blood. He tried to keep his eyes from it, but couldn’t stop staring. Mireia was the first to step inside. Ferran followed a half-step behind. Riffolk nodded to Clyne, giving her his bravest face and trying to keep the lantern still, despite his shaking hand. “I don’t understand. Why did everyone run into the mine?” he asked as he entered. “When they came for us, they came from the fields on the outskirts town. There was only one place to run to,” Clyne said, finally following. “No,” Mireia said. “We are here on the chance that there may be others that may survive this.” She gave Riffolk a reassuring pat on the shoulder before she moved forward. “No. She’s having an off day today. Usually she’s even more impressive,” he said with a grin, then followed the acolytes into the darkness of the mine. Ferran stopped their descent with a raised hand. He pulled back the sleeve once more, baring the tattoos. The dark lines on Ferran’s skin pulsed and shifted violently, like they would leap from his skin. “They’re coming,” he said, gripping his spear. “You have to listen to them,” Riffolk said. Clyne broke into a sprint with Riffolk close behind, the light of his lantern bouncing crazily around them. They turned a corner and Clyne pointed to something built into an alcove. “The vault,” she said, breathlessly. She sprinted forward, but as she went, Riffolk saw a strange shape uncoiling from the wall. “Clyne!” he yelled. A twisted shape of naked flesh rose up before her. It had a large, flat body, like its torso had been crushed beneath a stone. Wide, white eyes stared down and the mouth opened wide to make a low keening sound. Its arms were horrifically long, with extra elbows and joints. They reached out for Clyne.